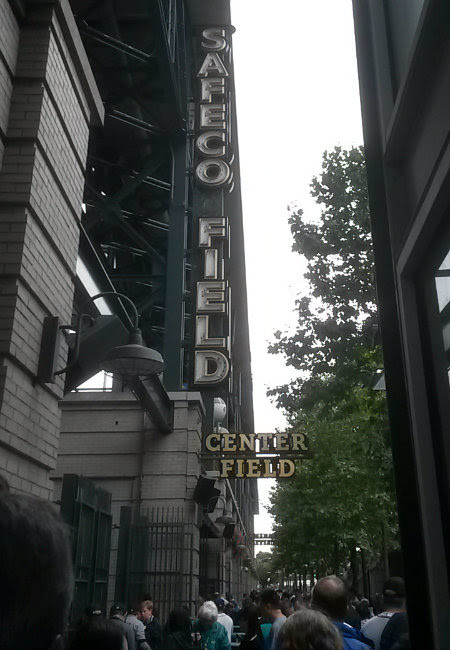 Safeco Field, located on 1st Avenue South in Seattle, is the home to Major League Baseball's Seattle Mariners. 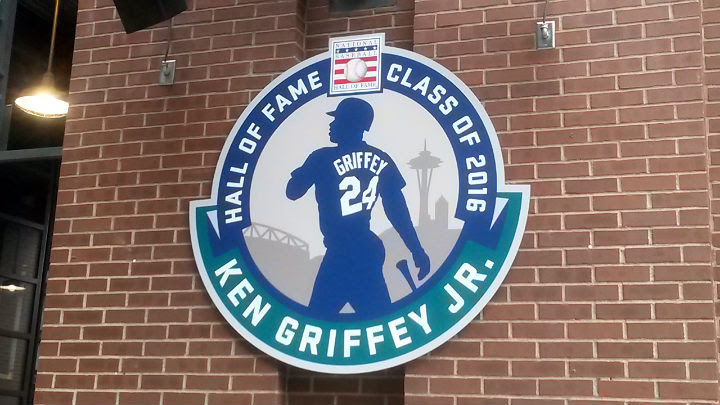 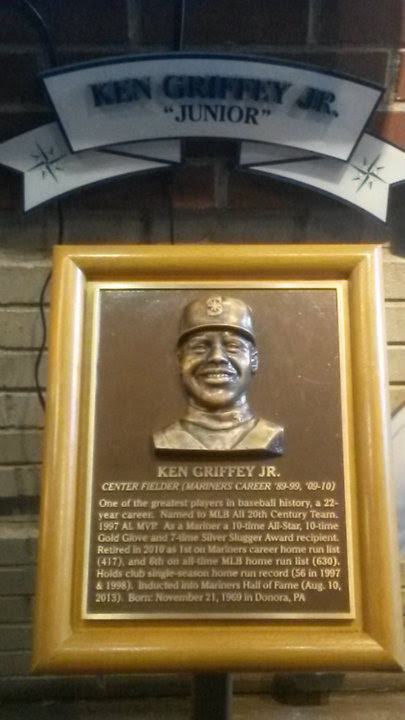 For my first game here, I had to go up during the weekend that the Mariners retired the number of Ken Griffey, Jr. 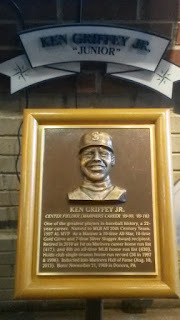 Growing up, I was one of many kids who idolized Junior. 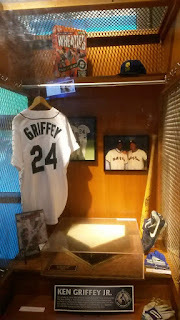 While I unfortunately don't have the valuable rookie card, I got to watch Griffey in his prime. 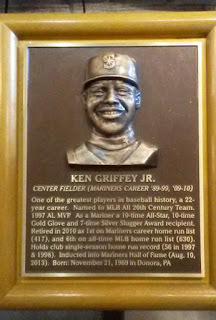 Like others, I tried (and failed) to copy that sweet swing of his. The line to get in was pretty long, but it went fast once the gates opened. 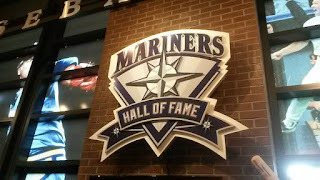 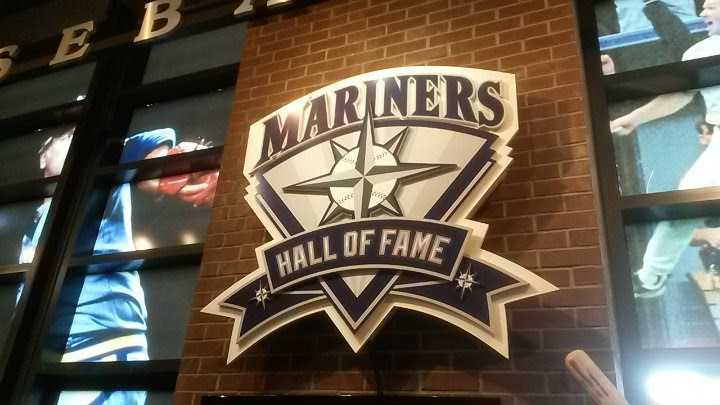 Once inside, I had about two more hours to kill before the first pitch, so I first went to the Mariners Hall of Fame, then walked around the stadium for food. My first stop was Hiroshi Sushi. 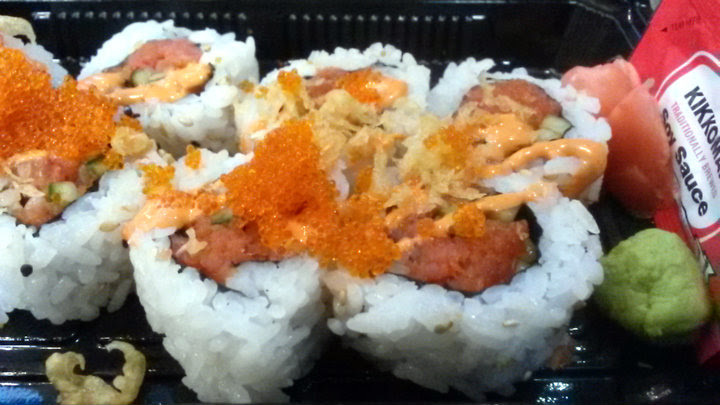 I got the King Roll ($12), basically a spicy tuna roll with tobiko on top. 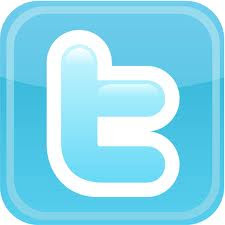 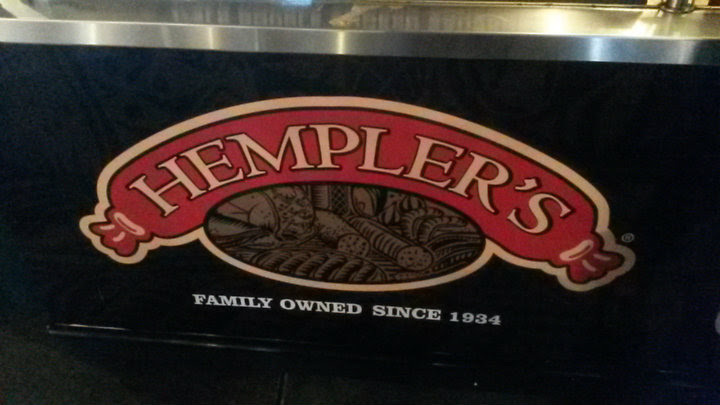 Delicious and well-made. The day I went, Safeco rolled out the "Ichiroll" special again. 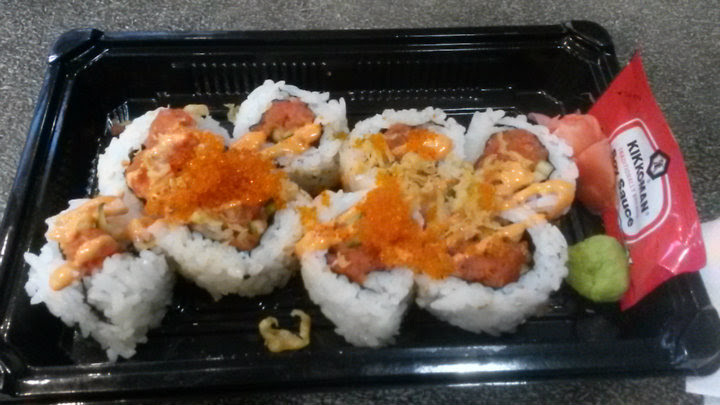 Spicy salmon, imitation crab, tobiko, cucumber, avocado, and spicy mayo. 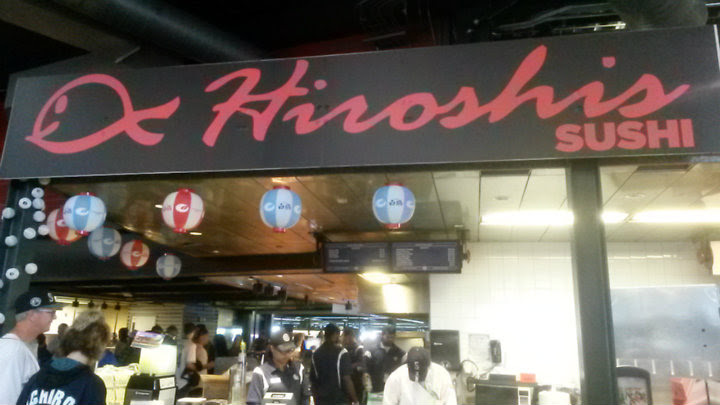 At the time, Ichiro (now a Miami Marlin) was chasing 3,000 MLB hits. 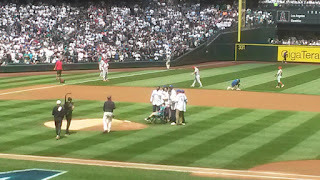 For those wondering, Ichiro would indeed get hit #3000 later that day on the road against the Colorado Rockies. 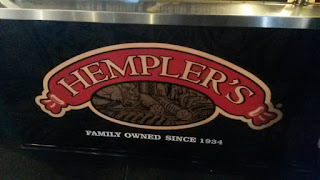 Next up was Hempler's, a family-owned sausage company selling their sausages in a hot dog roll. 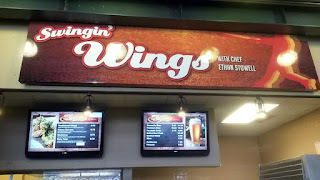 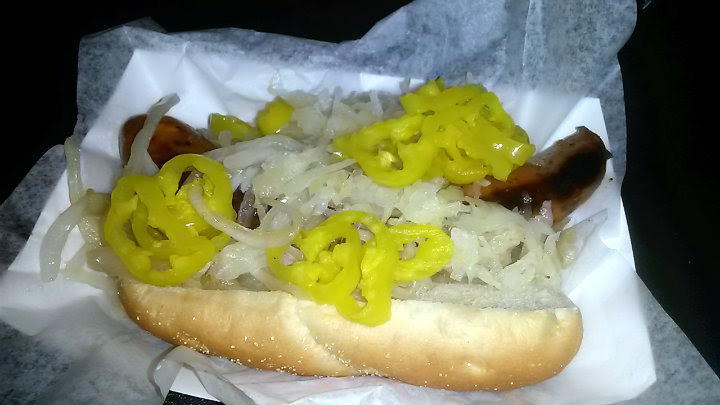 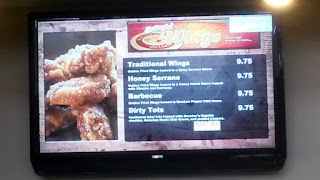 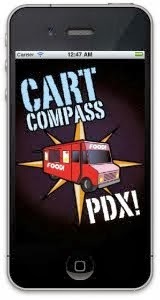 Their jalapeno cheddar sausage ($9.50) was outstanding, a must-get here. 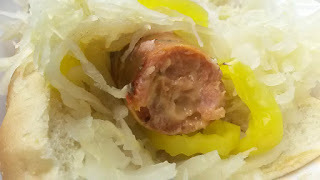 I topped mine with everything: onions, sauerkraut, and banana peppers. 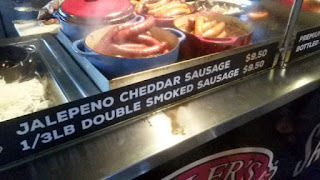 I washed this glorious meat down with an IPA from Two Beers Brewing. 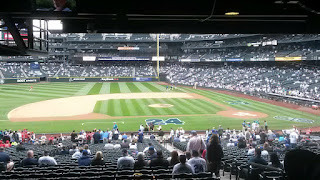 Some time after taking my seat, the roof closed, as light rain began to fall. 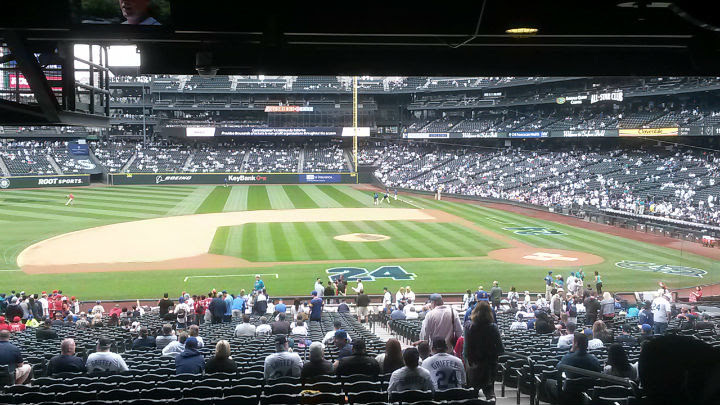 It takes about 20 minutes for the roof to close or open. After the rain stopped, the roof was opened again, to the delight of the fans. 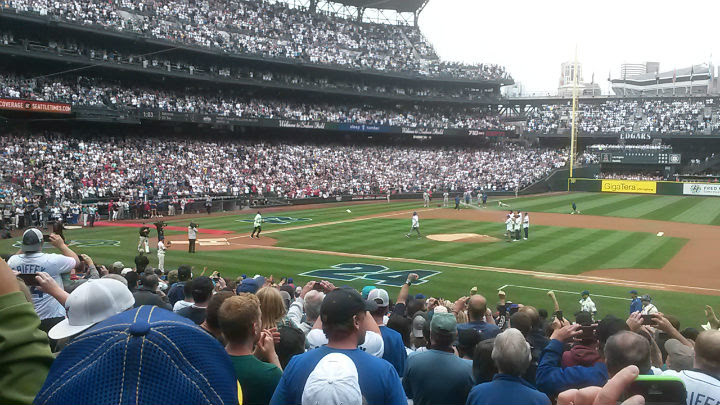 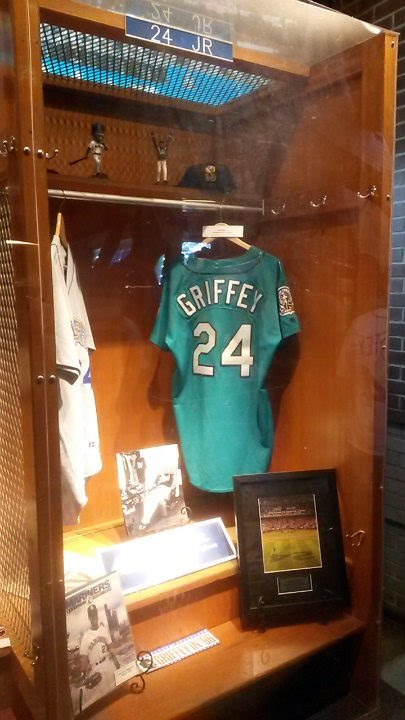 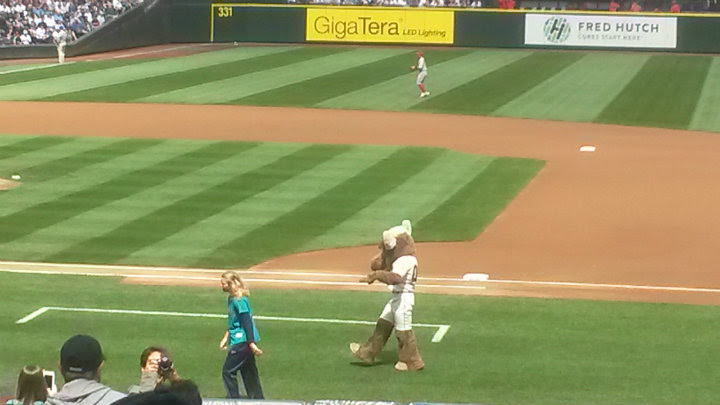 First-pitch festivities included Seattle sports greats. 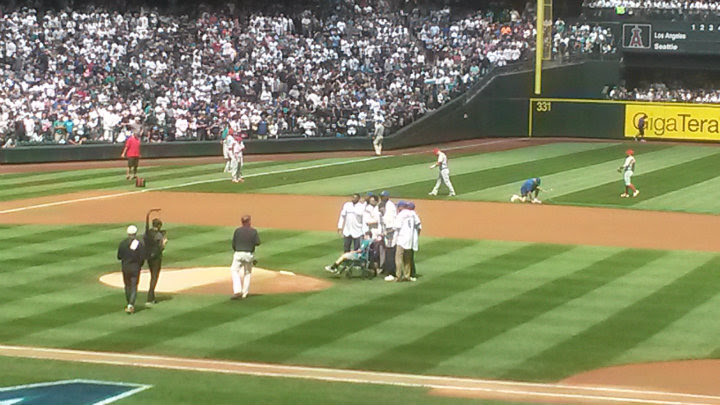 Gary Payton (one of the Seattle SuperSonics greats) threw out the first pitch to Junior. By the third inning, I had stayed still long enough, so I walked around the stadium a couple more times. 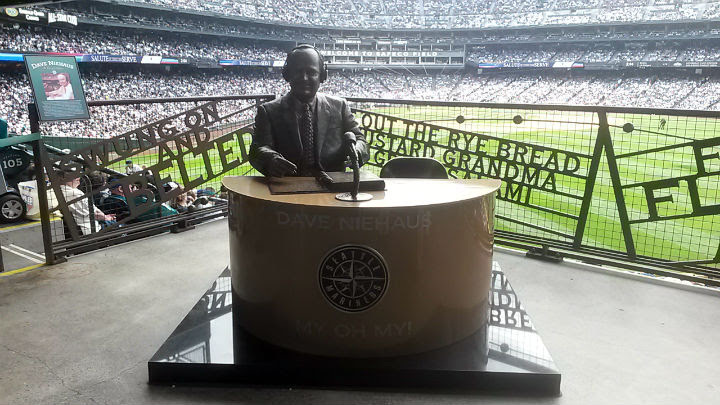 I got a picture of the Dave Niehaus statue in the right field concourse. 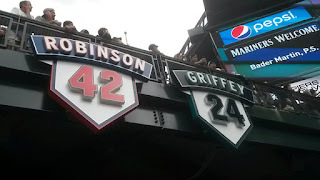 Walking down to the lower level, I snapped another picture of Griffey's newly retired number next to Jackie Robinson's #42. 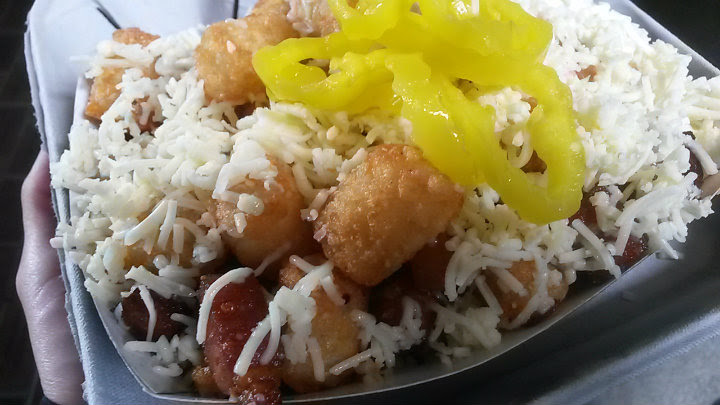 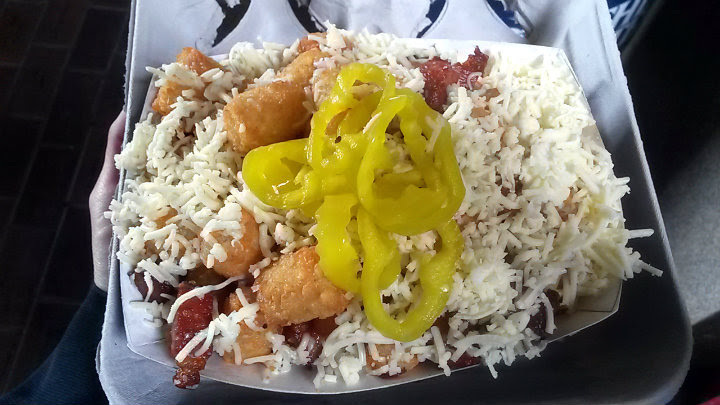 At Swingin' Wings, I actually opted for the Dirty Tots ($9.75), Northwest tater tots topped with Beecher's shredded cheese, Bavarian Meats slab bacon (cut into thick dices), and pickled peppers. 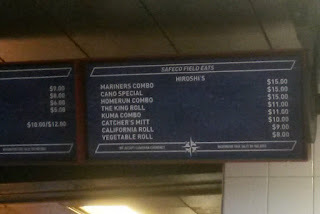 A glorious ballpark food, but certainly very heavy in the stomach. 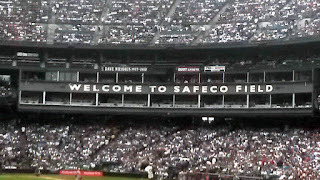 After having my first two meals at Safeco, I was left with a medicine ball in my gut. 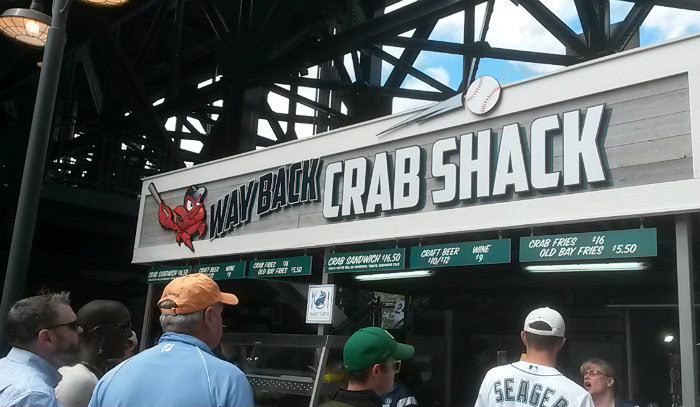 Other great food options include cheesesteaks, grilled cheese, crab sandwiches, and crab fries (fries topped with crab). 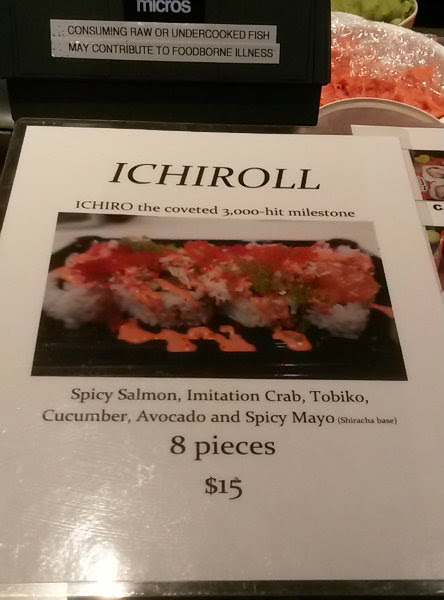 If only I had a few stomachs and a money tree. I ended up leaving the game by the 7th inning and listening to the last of the game on the drive home. 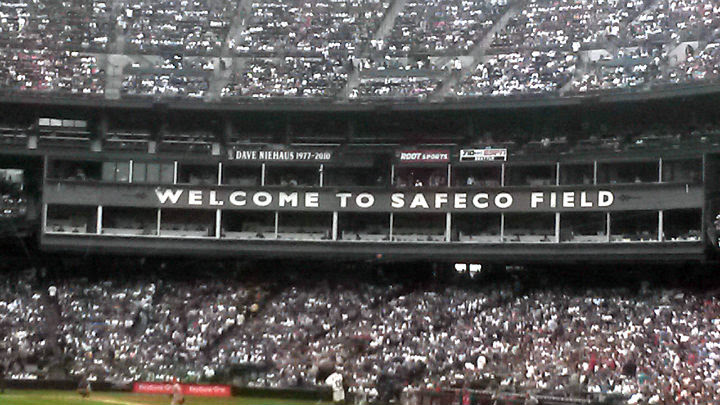 It definitely helped to beat the traffic out of the stadium. 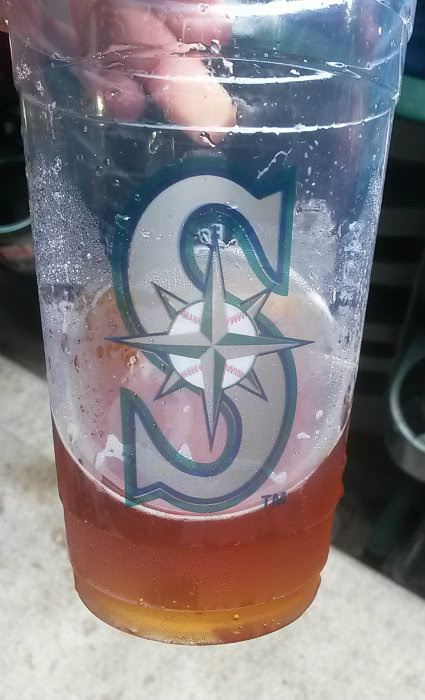 For the record, the Mariners won, 3-1.